Well, well. Now it's time to say that Summer's right around the corner. And as it's literally less than two months left and we all are actively prepping ourselves for beach fun time... then probably time for some bikini inspiration-slash-online-options has come. 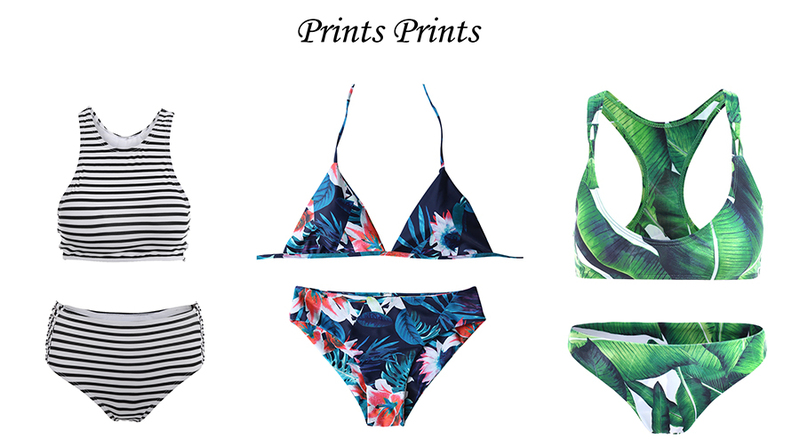 Therefore, in today's Inspo-selection I collected few of my favorite bikini sets from Sammydress. Still quite a number of pretty alluring pieces didn't make it to this wishlist, but you can find more of Sammydress Bikinis Summer 2017 Promotion and up to 70% off pieces HERE. Plus you, pumpkinitos, can use our special coupon 'SammydressVilian' to get some $$$ off.